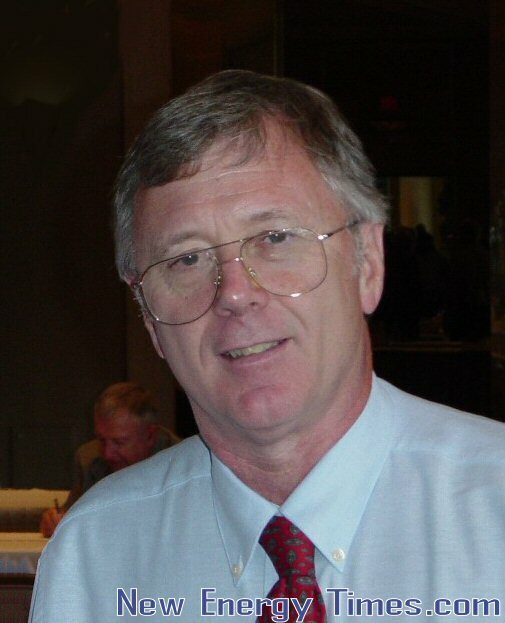 Dennis Letts obtained his undergraduate degree from Texas Technology University in mass communications in 1972 and studied advanced math and physics at the University of Texas at Austin. Letts began researching cold fusion in 1989 and started his experimental work in 1992 and has continued full time. Letts has performed approximately 6,000 experiments from 600 cells. His main research interest has been triggering methodology, beginning with radio frequency in 1992, which evolved to laser stimulation in 2003. Perhaps one of the most lasting contributions by Letts, so far, is a subtle, but highly important one: Letts invented the application of catalyst pellets for the recombination process in cold fusion cells, which recombines the hydrogen and oxygen evolved during cold fusion experiments. This innovation brought three benefits to the field. First, it reduced the cost for special recombination materials down from $1000 to $40. Second, it eliminated the need for the previous recombination material which may have clogged and been responsible for the accidental death of SRI International cold fusion researcher Andy Riley, and third, it allowed for more widespread use of closed cell calorimetry, being safer and more affordable. Letts works in his personal laboratory in Austin, Texas, where he has enjoyed productive collaborations with Dennis Cravens, Ed Storms, and Scott Little for many years.